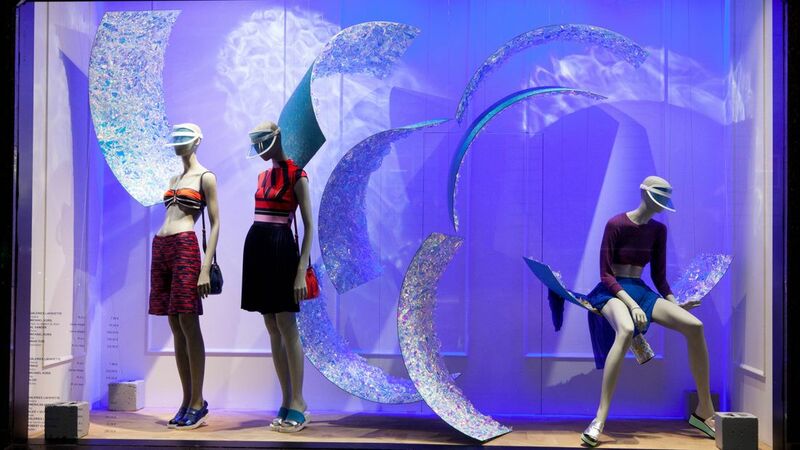 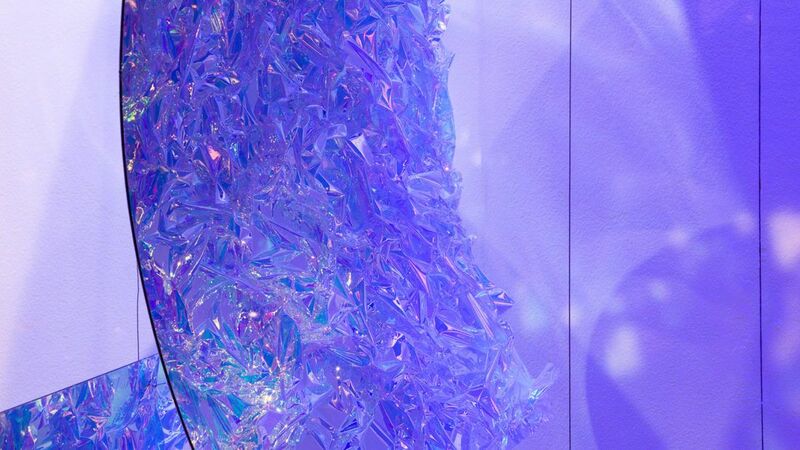 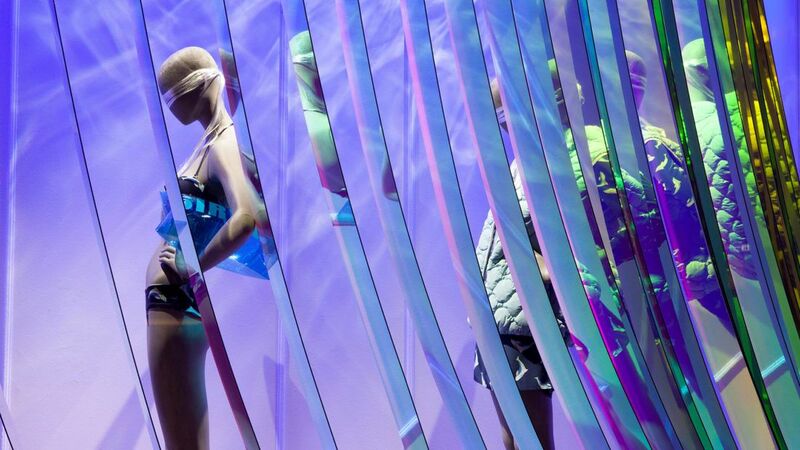 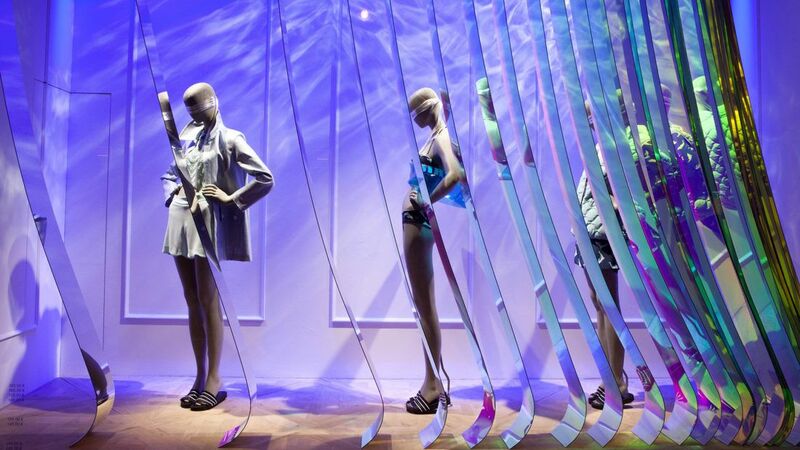 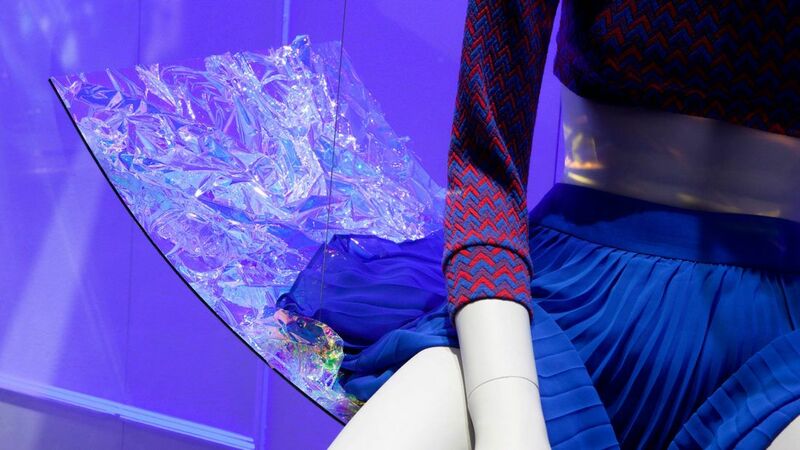 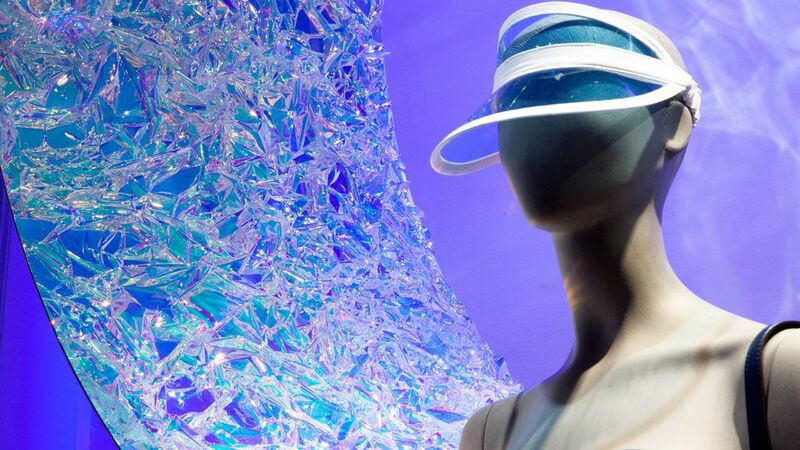 Summer Holiday is a window created by atelier Nathalie Bournillat for Galeries Lafayette with American Supply materials like magic mirror and PC aqua. 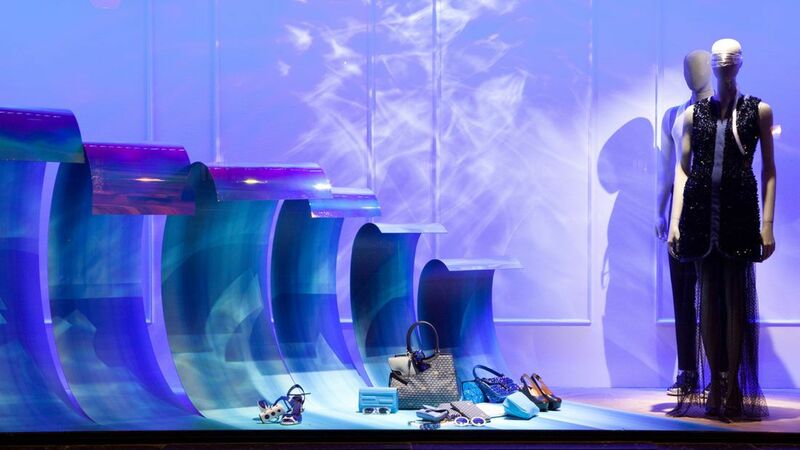 Atelier Nathalie Bournillat turned the summer windows of the Galeries Lafayette Boulevard Haussmann in Paris into the perfect luxury beach holiday. 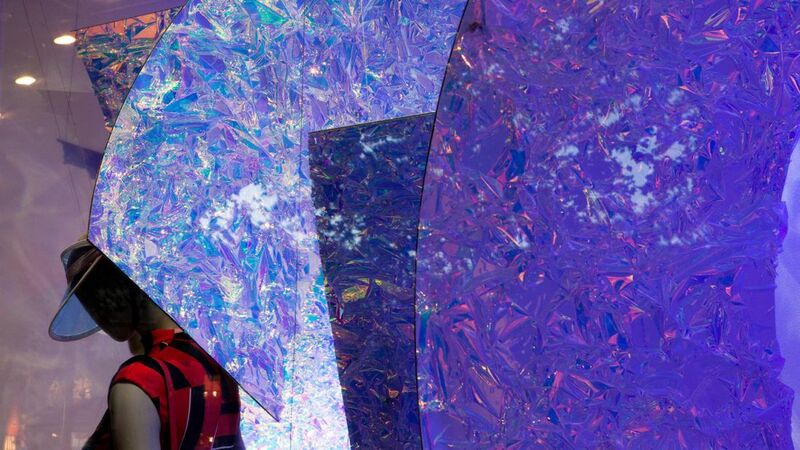 Glistening rolling waves were formed using our Magic Mirror bonded on PMMA, and perfect summer days spent lying by the hotel pool were evoked by cleverly manipulating our translucent PVC Aqua Swimming Pool with the window’s spotlights, and Magic Mirror. 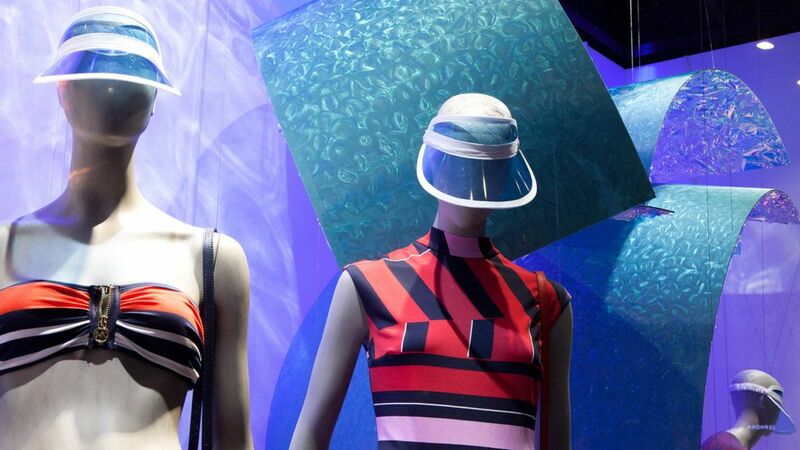 The resulting optical illusions are the perfect match for the Galeries Lafayette’s beach-ready summer collections.